Greater Cincinnati business and nonprofit leaders are joining the fight against heart disease and stroke by supporting the 2017 Heart Ball. Presented by TriHealth Heart Institute and St. Elizabeth Healthcare Heart & Vascular Institute, the Heart Ball is the American Heart Association’s annual black-tie gala. 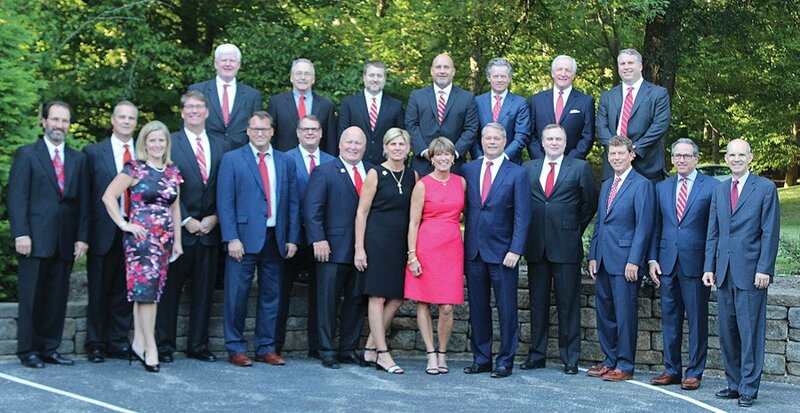 Co-chairs Joan and Alvin Roehr have put together an executive leadership team that is spearheading the charge to raise $1.775 million for the American Heart Association. The team includes: Alvin Roehr, The Roehr Co.; Lisa Baker, TriHealth; Dr. Richard C. Becker, University of Cincinnati College of Medicine; Len Berenfield; JB Buse, LOTH Inc.; Phil Collins, Orchard Holdings Group; Garren Colvin, St. Elizabeth Healthcare; Roger David, Gold Star Chili; Jerin Dunham, Funky’s Catering; Tom Finn, Fort Washington Investment Advisors; Tim Fogarty, West Chester Protective Gear; Mike Green, MV Residential Property Management; Jim Gulick, Longevity Funding Solutions; Pat Gunning, G&A Marketing; Jeff Hock, Enerfab; Kevin Jones, Huntington National Bank; Dr. Dean Kereiakes, the Lindner Research Center; Steve Koesterman, SE Anning & Co.; John Marrocco, Key Bank; Mark McDonald, Cincinnati Children’s Hospital Medical Center; Doug Miller, HORAN Associates; Jennifer Mitchell, Dinsmore & Shohl; John Mongelluzzo, Calfee, Halter & Griswold; Dr. Tom Morand; Harrison Mullin, MVC Capital; Kevin Riley, North American Properties; Robin Sheakley, Sibcy Cline Realtors; DP Suresh, St. Elizabeth Healthcare; Craig Todd, Amend LLC; and Andy Wade, AtriCure. Committee chairs include Alicia Gerlinger and Beth Giannetti, auction; Michelle and Kevin Jones, Open Your Heart; and Barrett Buse and Caroline Wendling, after party. Peggy and Ted Torbeck will be honored with the Heart of the City Award for their philanthropic work. The Heart Ball evening will include live and silent auctions, a gourmet dinner and live entertainment. It will end with dancing at a young professionals’ after party. Dr. Ted Waller, John Marrocco, Jennifer Mitchell, Tom Woebkenberg, Tom Finn, Craig Todd, Mark McDonald, JB Buse, Alvin Roehr (Heart Ball co-chair), Andy Wade, Joan Roehr (Heart Ball co-chair), Jerin Dunham, Peggy and Ted Torbeck (Heart of the City honorees), Kevin Jones, Phil Collins, Tim Fogarty, Dr. Tom Morand, Kevin Riley, Roger David, Creighton Wright Jr.